In 2016 alone, 216 million people were diagnosed with malaria, and in the same year, 445,000 died from the disease. Spread through parasites that are carried by mosquitoes, once a person is infected, the symptoms of malaria are similar to the common flu with muscle aches, fever and a headache. But unlike the common flu, if left untreated, malaria can quickly progress in severity, often proving fatal. Malaria is endemic in several areas of Ethiopia but the Gambella region – on the border with South Sudan – has particularly high rates of the disease. In fact, out of the more than 81,000 people that MSF treated for malaria in Ethiopia in 2017, over 72,000 were from Gambella. There, MSF provides medical services to about 800,000 people, half of whom are South Sudanese refugees living in various camps across the region. 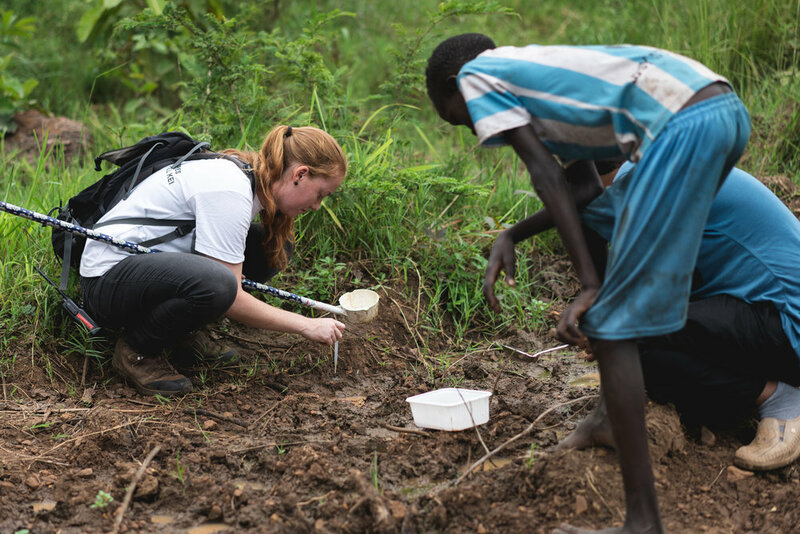 Jeanine Loonen is the MSF entomologist who carried out the study in partnership with the Ethiopian Public Health Institute. We interviewed her to find out more about her work. So far we have identified three different species of mosquitoes in the Gambella area: culex mosquitoes – which can be vectors for Japanese encephalitis; anopheles mosquitoes – the vectors for malaria; and aedes mosquitoes – which can carry dengue, chikungunya and Zika viruses. The fact that a specific species of mosquito is present doesn’t necessarily mean however that they carry their respective parasites and viruses. This will be determined at a later stage with the molecular analysis of the mosquitoes, which will be carried out in Europe. After around two days in the cages, the pupae will develop into adult mosquitoes that will be used for two different experiments. The first is called 'WHO tube bioassay' or susceptibility bioassay, which consists of putting mosquitoes in a tube with insecticide-impregnated paper for one hour and then transferring them to a clean tube. We will then see how many died and how many survived, helping us to understand whether that specific insecticide is effective. 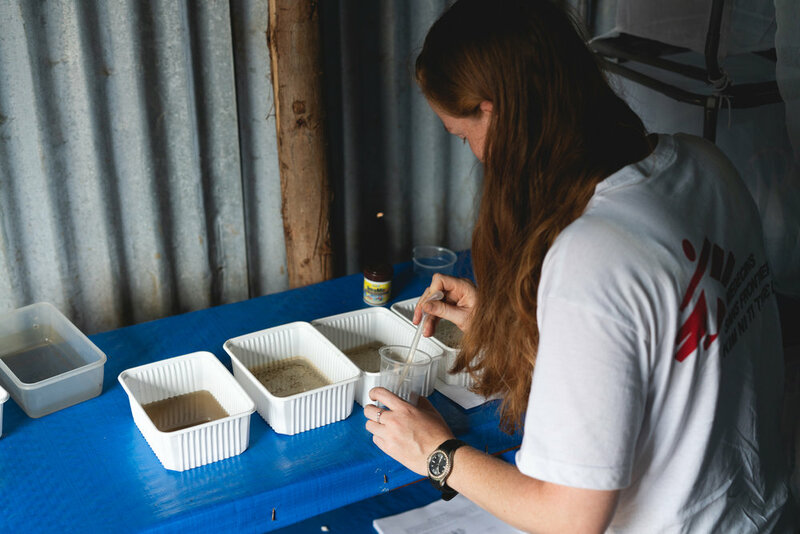 The second experiment is called 'WHO cone bioassay' and is used to test impregnated mosquito nets as well as other surfaces that have been sprayed with insecticide. We expose the mosquitoes to the mosquito net or to a wall to see if the chemicals used are effective in killing them. The study will test 14 different types of insecticide. Is there something special about the cages you use? Yes! These mosquito cages were custom made by my dad and sister. I usually need two suitcases full of material for this kind of study, so I was looking for equipment that is light but can also survive field conditions. I discussed this with my sister and my dad, who helped me develop light and robust cages. My dad created the frame out of PVC tubes, while my sister designed and weaved the net that effectively keeps the mosquitoes trapped. They are not entomologists but they are very resourceful people. My cages are very unique. After the field part of the study, we will take all the samples back to the Netherlands, where we will conduct a molecular analysis to identify the various subspecies that we collected and determine whether they are carrying parasites or viruses. This way, we will be able to create maps with hotspots of malaria transmission and use the most appropriate insecticide and bed net type to target them. Now we use new generation bed nets that are impregnated with insecticides anda synergist that reduces the level of insecticide resistance in mosquitoes. I love being an entomologist with MSF. The work is fascinating and we work in very interesting contexts. It’s always funny to arrive in a project and have people ask you: “Entomologist? What does MSF have to do with an entomologist?” When you start explaining what we are doing, people usually get really interested.